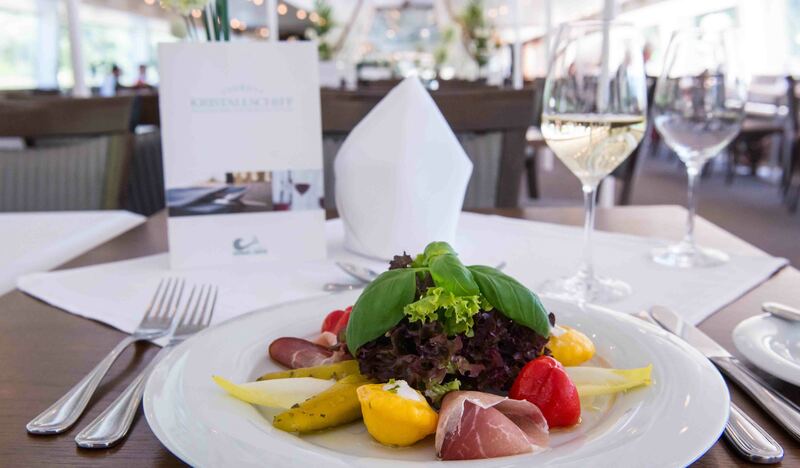 The Donauschifffahrt Wurm & Noé is widely known for its catering. The ships are swimming restaurants, the passengers are treated with delicious food. We prepare our dishes freshly in our board kitchens. We also place value on the selection of the ingredients. Our suppliers from our region have to fulfil certain criteria. We are glad to fulfil your all your requirements during our regular cruises. May it be a hearty breakfast? Or choose a fine main dish for lunch, maybe with a soup or salad? Or grab some delicious desert or snack! For groups we offer some cheap menues. Of course we also offer some very selcted wines. We satisfy your special wishes. 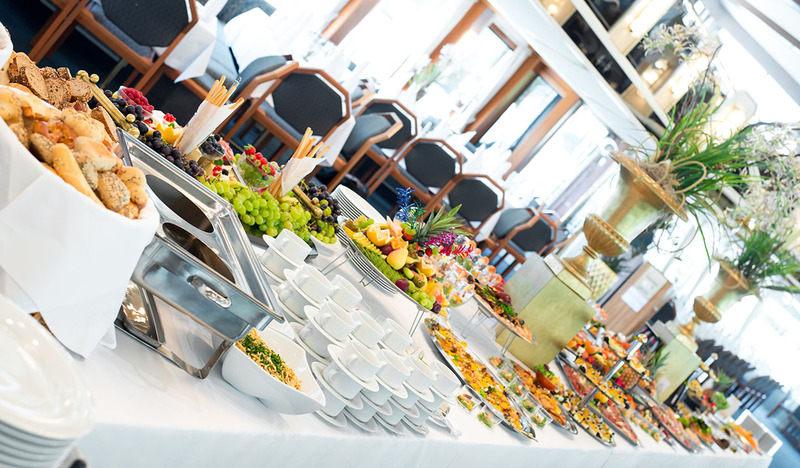 For big groups/charter cruises we serve buffets or exclusive menues. One very special highlight during an evening cruise we recommand a ice-cream parade à la Traumschiff. A cocktail or champagne reception is a perfect to welcome your guests at a charter cruise – the perfect location is the sun deck, when the sun is shining. 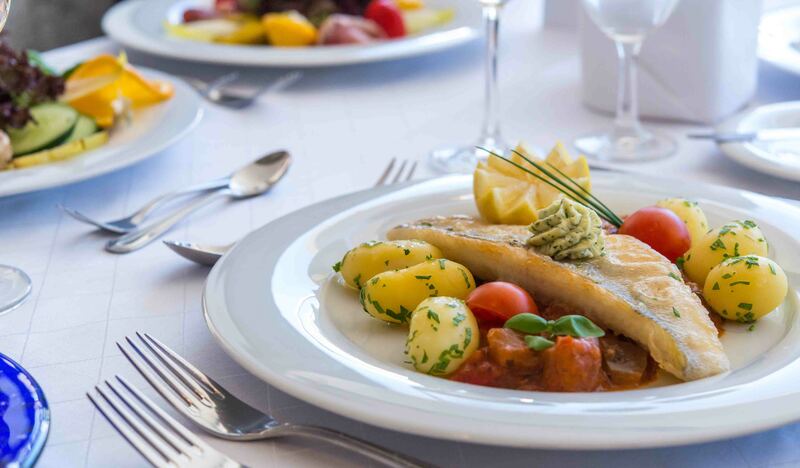 Take a look at our menu cards – bon appétit!